January 27 is a special day for St. Petersburg. In 1944, then — Leningrad was fully freed from the blockade by fascist troops that had kept the city besieged from 8 September 1941 (for 872 days) causing numerous deaths of inhabitants. Photos of Leningrad from the Great Patriotic war (Word war II) times are full of dead people pictured in the streets, killed not by air strikes (though the city was being heavily bombarded), but hunger. Throughout the war, bread was distributed only by special cards, during the siege the norm was reduced fivefold and finally dropped to just 250 grams for workers and 125 grams for the rest a day. Apart from starvation, Leningrad was fighting with attacking fascist troops, well equipped and aggressive. The city industry produced more than 700 tanks, a great amount of rifles, guns, other ammunitions that was dispatched to Moscow for Soviet troops. The city defended with ammunition that it managed to produce beyond the production plans despite the strong lack of fuel, electricity, food, water and other material resources. The biggest and most cruel siege in the history was partly unblocked when the Soviet troops managed to open a transport corridor through Ladoga lake. The corridor was later called The Road of Life; it helped much but didn’t resolve the problem of supply. On 27 January 1944, the siege ended which was celebrated with great salute shot out by 300 artillery guns. The salute has been repeated since then almost every year becoming the central celebration point. This year you can see the traditional salute and firework. The artillery salute with 300 guns will be shot at the Marsovo field just near the Savior Church on the Spit Blood at 20.00. The firework takes place on the beach of the Peter and Paul fortress at 21.00 and can be seen from the Troitsky bridge, the Spit of the Vasilievsky island and the Dvortsovaya embankment. 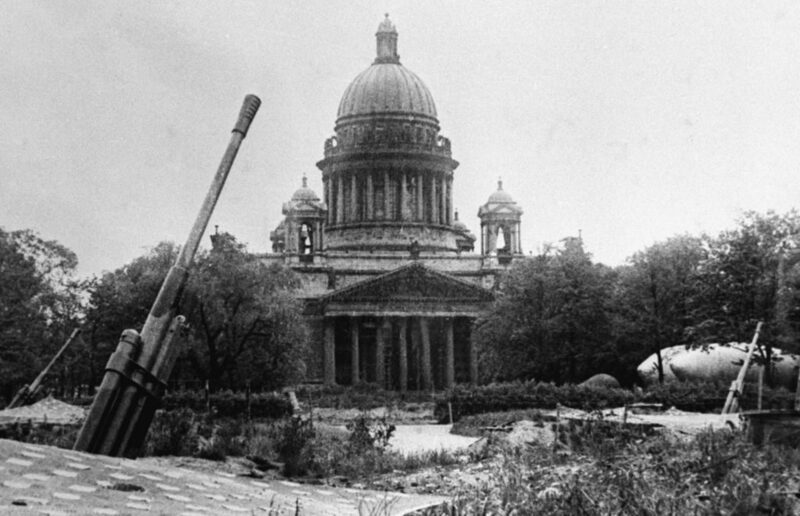 More information on the Siege of Leningrad 1941-1944 you can find on Wikipedia and here.